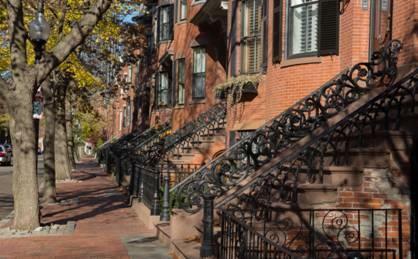 Considered one of Boston’s liveliest and most culturally diverse neighborhoods, the South End is the largest surviving Victorian residential district and dotted with community gardens and pocket parks. Predominately developed in the late 1840s and early 1850s, architectural styles include Renaissance Revival, Italianate, and French Second Empire. The South End is home to the Boston Symphony Orchestra, a myriad of jazz clubs, and an eclectic array of eateries. The neighborhood’s SOWA district (South of Washington Street) is home to galleries, artist’s studios, and lofts – where residents take part in the lively arts scene on “First Friday,” a monthly art walk hosted by the SOWA Artist Guild.